Pallets are used in storage or shipment, as the structural foundation of a unit load. Goods or shipping containers are typically secured to a pallet with strapping or stretch wrap. 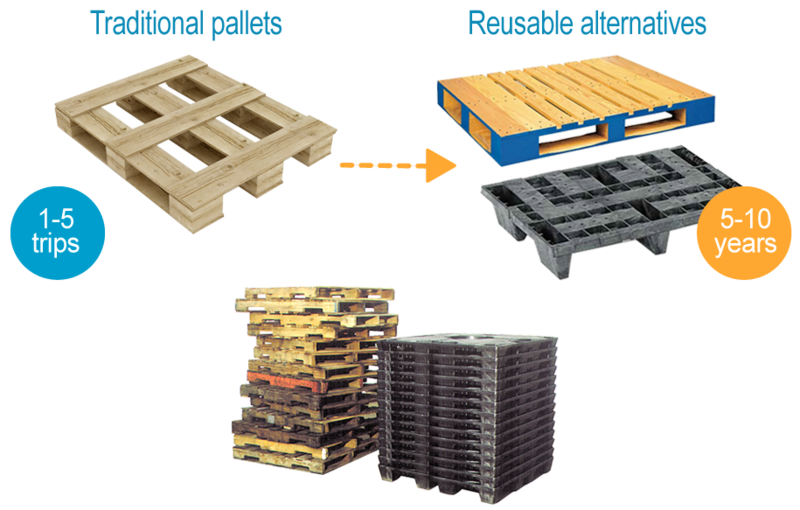 While many pallets are wooden, pallets can also be made of plastic, metal, paper, and recycled materials. Plastic, metal, and some high quality wooden pallets are particularly durable and considered reusable if they last for more than 50 trips. Tracking technology such as RFID may be embedded for additional efficiencies. Click here for more success stories featuring reusable pallets.